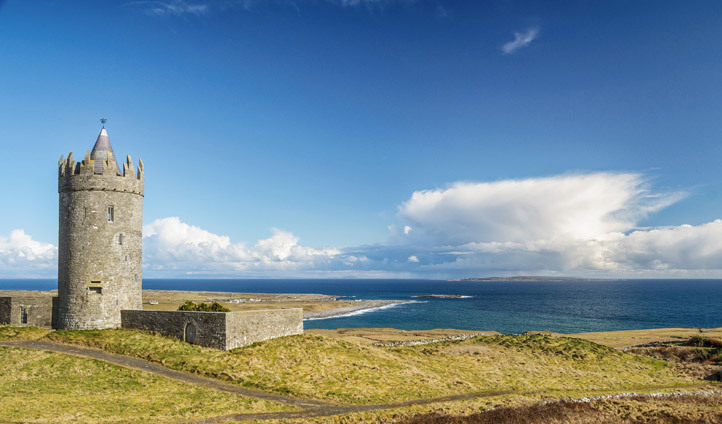 Get ready to head off on a mythical fairy-tale escape from the bright lights and busy streets of Dublin to the far westerly corners of Ireland where the landscapes simply take your breath away. This luxury 12 night trip round the Emerald Isle will have you falling for Ireland’s charm in no time. For most, Ireland is but a wonder of old folk tales and endless pubs, but here at Black Tomato our experts want to show you a bit more from blockbuster landscapes to ancient ruins and old Celtic traditions. It’s time to get out an explore this wild and magical country staying at a few of our favorite luxury hideaways along the way. Waking up early, your Black Tomato guide will meet you with a car ready to head south to County Wicklow, known as ‘The Garden of Ireland’. Your first stop is the majestic Powerscourt Estate, set on a 400-hectare estate just 12 miles south of Dublin it is home to one of the finest gardens in Europe (designed by Daniel Robertson between 1745 and 1767). After exploring jump back in the car and continue to the famous round tower of Glendalough, an area steeped in history. Head off on one of the many hikes on offer and follow in the footsteps of St Kevin himself – The Spinc trial is a Black Tomato top favorite. After exploring the East Irish coast head to your home for the night, The Cliff House Hotel to recharge those batteries. Halfway through your trip, it’s time to start heading north again to Ireland’s most westerly point, the Dingle peninsula. Marvel at the intense shifting beauty as the wild Atlantic Ocean crashes along the shores. With breath-taking landscapes, it’s no surprise the nearby Inch Beach was used as a location for ‘Ryan’s Daughter’; whether you’re brave enough go for a dip or just dip your toes in, spend the rest of the afternoon running along the sand and exploring this extraordinary rugged coastline before heading to the Pax House to cozy up by the fire. In the morning, head across the Shannon Estuary by car ferry and you’re in County Clare, home to the spectacular Cliffs of Moher (Ireland’s top natural attraction and nominated for one of the new Seven Wonders of the World). Watch as the Burren unfolds in front of your eyes – this magical lunar landscape stretches as far as you can see. 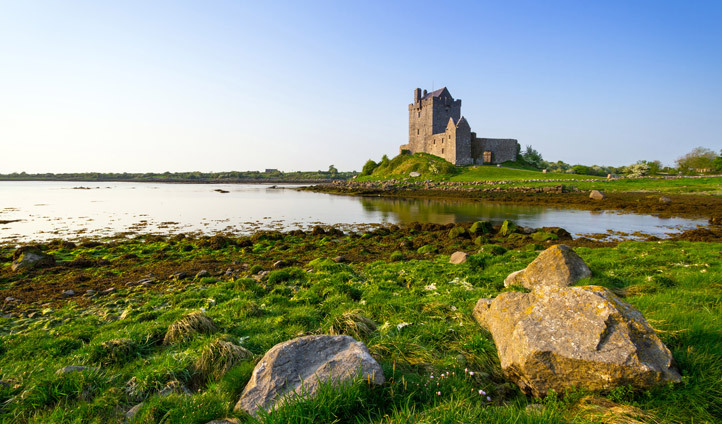 After rambling through the Wild West, drive through the bustling streets of Galway City before arriving at Ashford Castle (our favorite resting spot of the adventure – just look at the photos to see why) where you will live like royalty. Explore the rugged Connemara regions or master country pursuits – after all, Ashford is home to the first school of falconry.